Lenovo officially announced the Yoga Tablet 10 HD+ Android 4.3 Jelly Bean slate. As its name suggests, the newcomer features a 10” wide-view display with a resolution of 1,920 x 1,200 pixels. Lenovo’s latest Android slate features the same design as the Yoga 10 which arrived in October last year. It features a kickstand with three different modes which include reading, gaming, and viewing images or video. The rest of the tablet’s specs include Qualcomm Snapdragon 400 SoC with 1.6GHz quad-core CPU and 2GB of RAM, 32GB of built-in memory, Dolby Audio speakers and microSD card slot. A duo of cameras which includes a main 8MP unit and front- facing 1.6MP snapper is in charge of capturing memories and making video calls. Connectivity options include HSPA+ (42Mbps) in addition to the usual set of features. 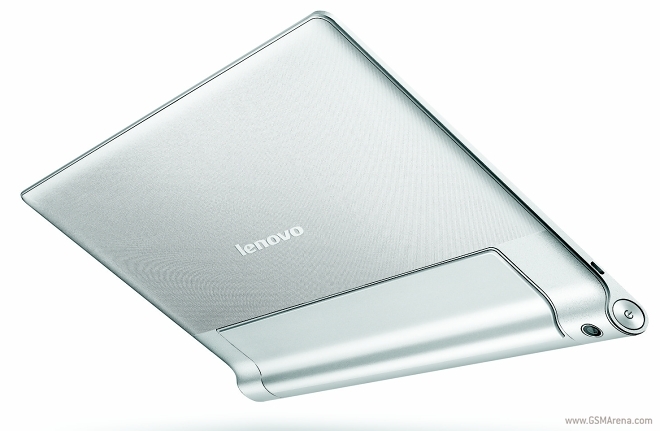 The Lenovo Yoga Tablet 10 HD+ is powered by a beefy 9,000mAh battery. The Chinese manufacturer promises up to 18 hours of battery life on a single charge. Lenovo will offer the slate with optional keyboard/cover. Considering the large battery on tap, the duo of accessories should help the Yoga Tablet 10 HD+ transform into a serious productivity tool. We managed to spend some quality time with the newly announced slate during MWC 2014 in Barcelona. At a quick glance, its display is certainly a massive improvement over what the predecessor of the Yoga Tablet 10 HD+ had to offer. The tablet and the optional feel solidly put together and ready to tackle the rigors of daily life. The stand’s implementation is quite neat and useful in all three modes. It really helps the slate stand out among its competitors. Despite not packing the latest and greatest SoC, the tablet felt zippy when used. Its hardware will do the trick for most casual users out there. 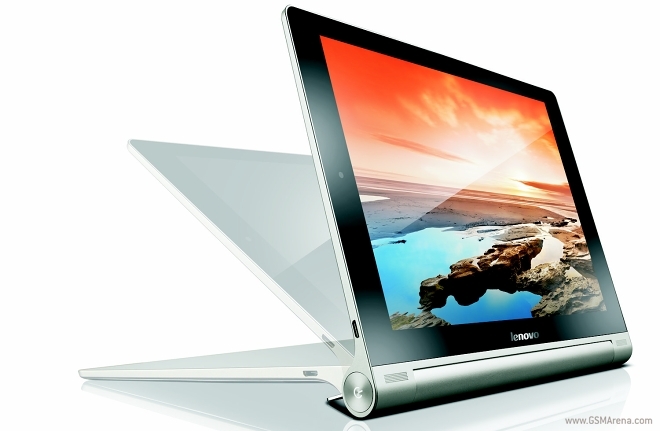 The Lenovo Yoga Tablet 10HD+ will be available in April with a starting price tag of $349.